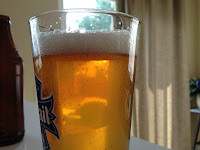 My Cream Ale, Looking Good! First things first. Check out how cool my Cream Ale looks. It's clear and tastes awesome! I think when I enter this baby in some competitions soon it will be a really great example of the style and should do well. 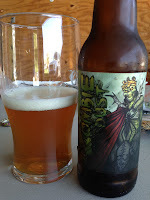 I had my friend/coworker Chad Rozniecki taste it last week and he gave it high marks. He even filled out a BJCP sheet for it and rated it for me. Now does one opinion mean it's the be all end all of cream ales? No. 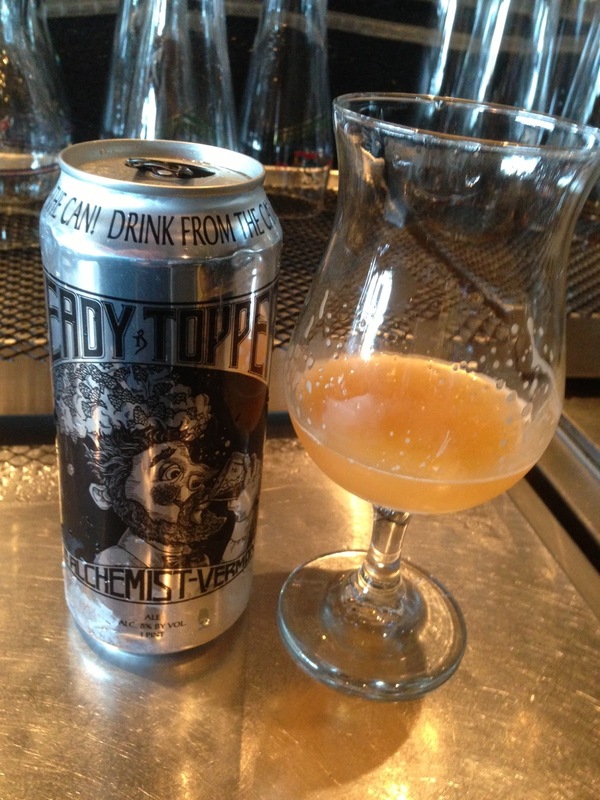 But it makes me amped about brewing because I am really happy with this beer and others are noticing it's good too. This last week/weekend was great. A lot happened and I brewed two beers. After taking the Noble Pils off of the yeast and kegging it, I brewed up an Oktoberfest and pitched it right on top of the yeast cake from the Pilsner. It is now taking off at an alarming rate. I have no doubts it will be a successful fermentation. The yeast is really going to town. The recipe I used was straight from Brewing Classic Styles and can be seen here. 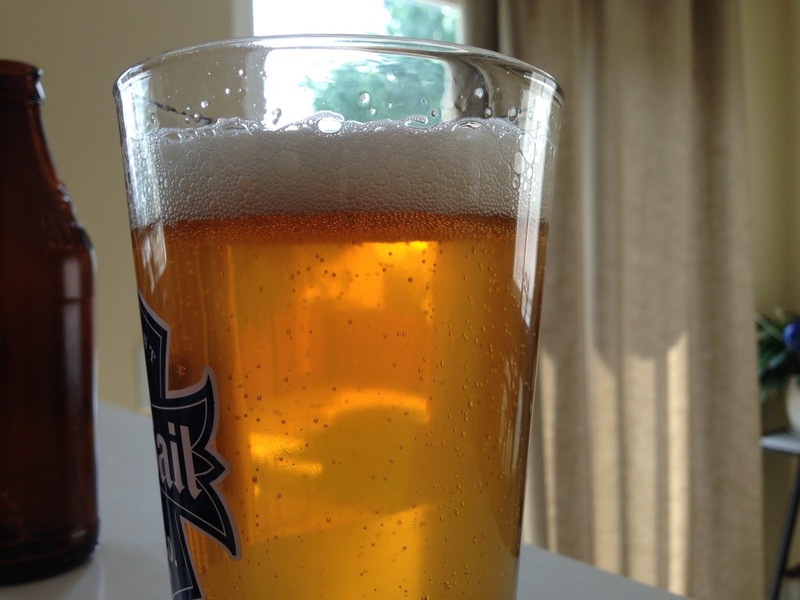 It's fairly simple, but will work out just great for a very easy drinking Oktoberfest lager. 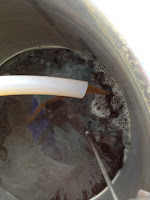 As you can see in the pictures it was a very nice clear amber coming out of the mash tun. 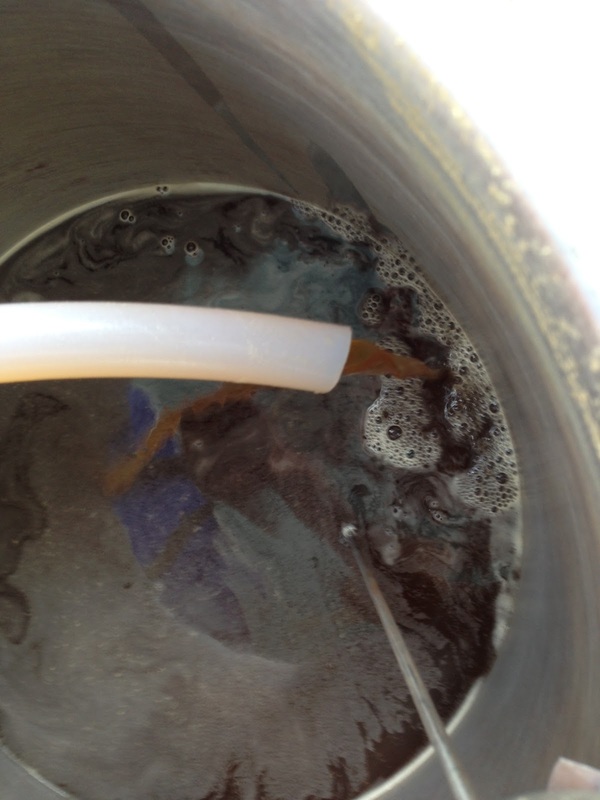 Oktoberfest is pretty much the beer style that made me want to brew in the first place. And I have yet to even make one that wasn't a "mocktoberfest" ale. Now that I have temperature control and the ability to work with plenty of lager yeast I'm able to make a true Oktoberfest. I'm really looking forward to the results. One of my favorite beers to enjoy in the fall is Sam Adam's Octoberfest. Which I originally started drinking during my college years and it is probably the beer that broke me through from plain old domestic beer and into the craft beer foray. So once this beer is ready it will be really special to me. 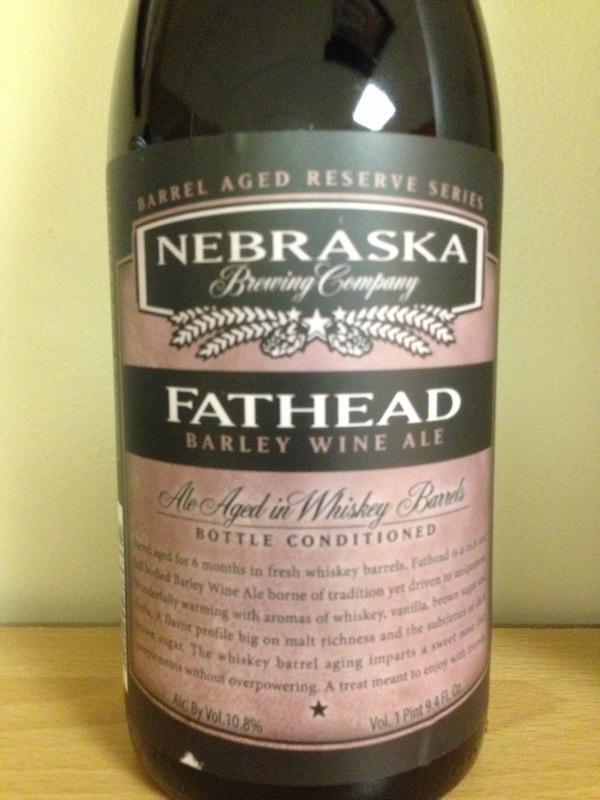 I can't wait to have it on tap in my basement for a Husker game. After finishing the Oktoberfest I realized I had the whole day off Saturday and my wife wouldn't be home until later that night. So I decided to brew a second beer. I made a beer called "Extra Special Bill." It can be seen here. I used plenty of Maris and EKGs to give it English flavor and I'm hoping that the late hopping additions will give it a nice hop aroma. I'm a huge fan of Empyrean's "Luna Sea" ESB and it says that they use a little bit of biscuit malt in their ESB. So I decided to add some to mine and see how it turned out. about) Thanks to Master Chef Chad Waters for his suggestion. I have had almost every different barrel aged beer that NBC makes. But have not yet had the opportunity to drink Fathead. I have a feeling sharing this is the best way to go because of the high ABV. Although I love barrel aged Hop God and that's 10% so maybe I could take care of this beer on my own. I'd probably rather share it though so I don't end up taking a nap right afterwards. Warp back to Friday (I'm taking you guys on a time travel adventure this week) and this may have been one of the best beer weekends I have had in a while. Not only are my beers maturing in the kegerator to the point where I'm really excited to enter them in the next few competitions. But for whatever reason, this weekend involved all sorts of beer goodness that began with my shift on Friday at Lauter Tun. Now I just started working at Lauter Tun as a Barback/Bartender in Training. I have plenty of knowledge in the beer area, and I'm actually very happy and proud of the bar because they have an excellent tap selection which can all be enjoyed from the proper beer glassware! But I'm not the most knowledgeable person as of yet on all of the mixed drinks. I'm learning them and I can make a killer Old Fashioned or Moscow Mule. Start throwing some crazy named drinks at me though and I'll be asking for backup! Check out the Lauter Tun website here. If you're in Omaha and want to check out a great craft beer bar. This is my usual watering hole. Kevin who works with me there brought in a bottle of Pliny The Elder the other day, which was something I haven't enjoyed since I was in Oregon two years ago. So that was a treat. Then a regular brings in some Heady Topper that night too. I could tell it was going to be a good weekend. 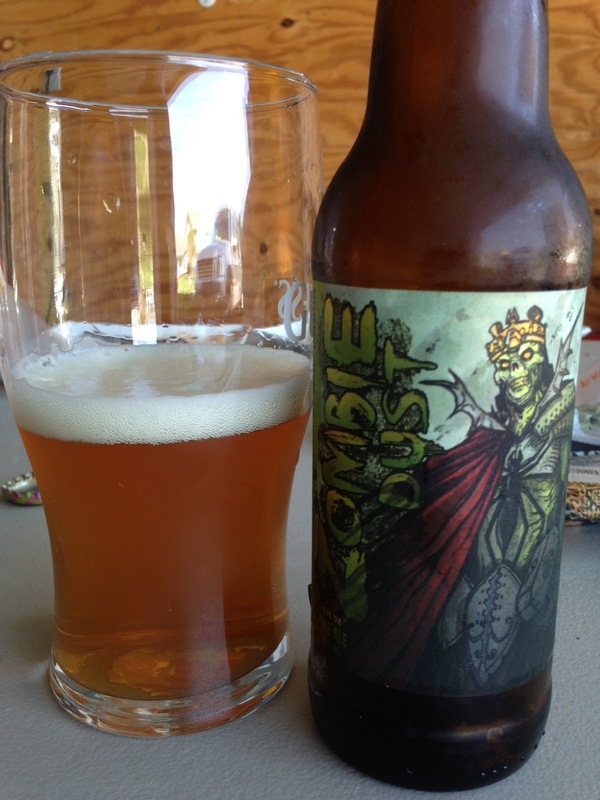 During the brew day the next day my friend Kyle hooked me up with some Zombie Dust and some G'Night from Oskar Blues. I was officially marking my calendar so this day would be remembered throughout history. Well maybe that's a bit overboard. But it was definitely shaping up to be a good weekend. Last night I watched Breaking Bad with the wife and enjoyed a couple brews. I picked up some Paulaner Oktoberfest/Marzen to get myself psyched for my Oktoberfest that was fermenting right next door in my office. I also drank some of my Dusseldorf Altbier and enjoyed how much the beer had progressed during lagering. It has really cleared up and has a great malty taste now. I can't wait to enter it in the Nebraska State Fair this week. I'll let everyone know how that goes and any results. As of last weekend I received a call about the Sioux Falls Empire Fair and that my Oatmeal Stout was in the top 16 entries. I haven't heard anything other than that. Once I see a full list I'll post it up and see how everything else faired.....at the fair. Yeah. Alright have a great week everyone. Thanks for reading.